All students who are enrolled in SHSU courses are eligible to use the Library's resources and services upon presentation of a valid SHSU ID card. Remote access to the electronic resources of the Newton Gresham Library is also available to enrolled SHSU students. In addition, NGL's Distance Learning Services provides reference and research assistance, instruction in the use of library resources, and delivery of books, electronic files/documents and photocopies to authenticated distance learners. Valid* users may request books and copies of journal articles and have them mailed or when possible sent electronically. While Distance Learning courses are those that are received or taught off-campus, eligibility for NGL's Distance Learning Services is limited to students who are both enrolled only in SHSU's off-campus courses and who live outside Walker County. 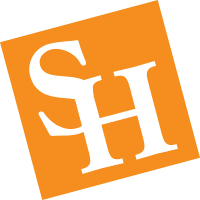 Distance Learning Services are not available to students who take one or more courses on the SHSU campus, as well as persons not affiliated with SHSU. * In order to become an authenticated Distance Learning Services user, an eligible student must complete an NGL Distance Learning Services application form online and create an ILLiad account.